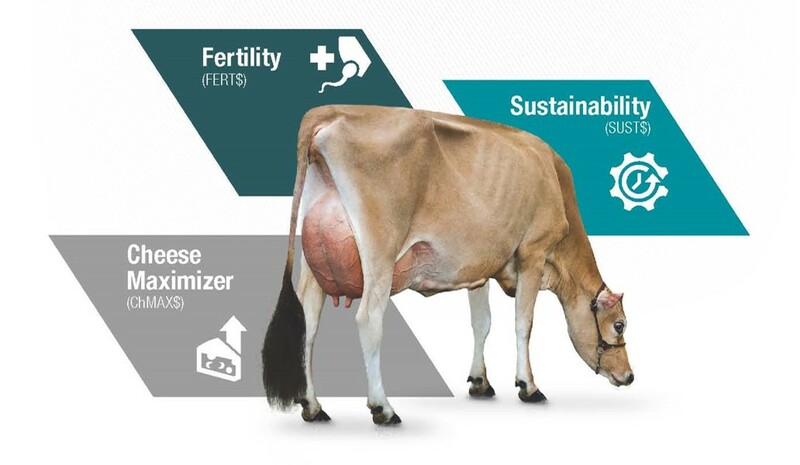 Fertility (FERT$) contains five measures of cow and heifer fertility, including one proprietary trait Age at First Calving, to meet the needs of producers looking emphasize reproductive efficiency. Selection of bulls with high FERT$ rankings results in optimal age at first calving, reduced days open and shorter calving intervals. 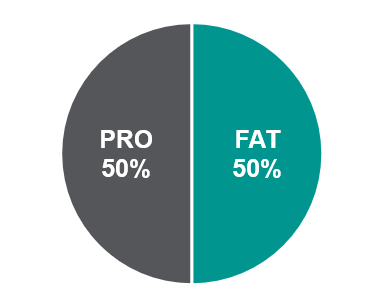 Sustainability (SUST$) is made up of health traits for improved, sustainable health and longevity. Within this sub-index there is a proprietary trait, Calf Survivability. Within the SUST$ sub-index GENEX also created an udder index to include the traits that have an impact on culling rate. CSRV will bring awareness to the genetics that bring hardness and survivability to newborn calves which is a continual area of concern for the Jersey breed. 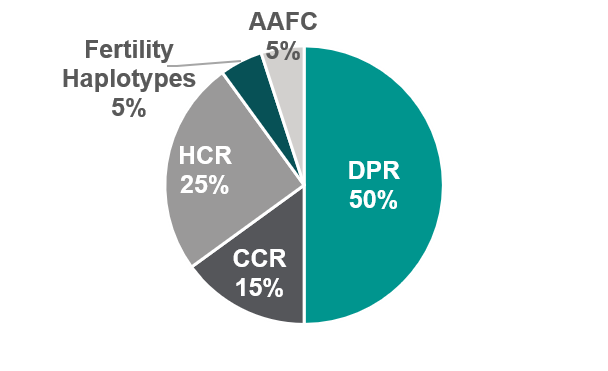 AAFC highlights the importance of daughter fertility within the breed. Getting heifers calved in early equals bottom line profit.